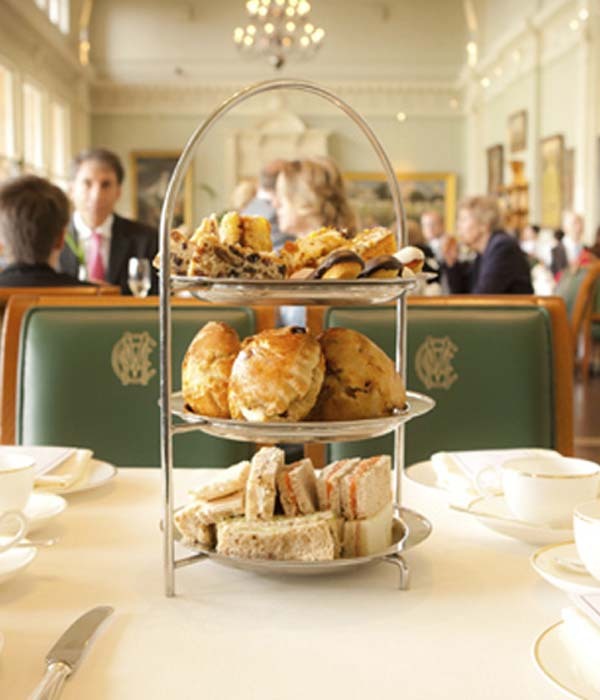 Traditional Afternoon Tea in the iconic surroundings of the Long Room has become a firm fixture at the Home of Cricket. Soak up views over the Lord’s outfield from the Long Room while enjoying a selection of hand crafted treats. For a spot of extra indulgence, why not add a glass of champagne? Guests enjoy access to the Long Room within the Pavilion, with commanding views over the Lord’s outfield and the architecturally significant and award winning J.P. Morgan Media Centre. A guided tour of the Pavilion rounds off a magical afternoon at the Home of Cricket. Traditional Teas are priced at £49, or for an extra spot of indulgence add a glass of Champagne for £59. A member of the Events team will contact you to arrange an arrival time (nearer to the event date) and any dietary requirements. Access to the ground will be 1/2 hour prior to your allocated arrival time. Each table sits a maximum of 10 people. Should you book over this amount the tables will be split. A formal dress code does apply. Jacket and tie for gentlemen, jeans and trainers are not permitted for ladies or gentlemen. The downloadable terms and conditions apply to all afternoon tea bookings.